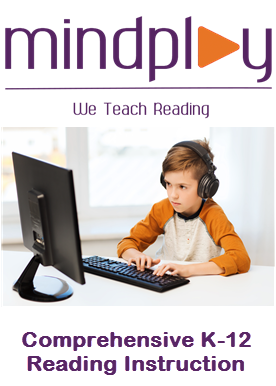 The Homeschool Buyers Co-op is pleased to present a GroupBuy for a 6-month OR 1-year subscription MindPlay Virtual Reading Coach™ (MVRC) from MindPlay®, an award-winning provider of comprehensive reading solutions for struggling, grade-level, and gifted readers in grades K-12. MVRC is a comprehensive, online reading program that covers virtually all aspects of reading, including phonics, phonemic awareness, vocabulary, grammar & meaning, fluency, and comprehension. Your student will begin with an assessment to identify his or her unique instructional needs. MVRC will then automatically assign specific lessons and activities that meet those needs, and change lesson assignments as required based on your student's progress and performance. If your student struggles, he'll get additional, targeted assistance. If reading comes easily, he'll move quickly through the curriculum until he reaches a level that is appropriately challenging. A distinguishing feature of this program is the use of "virtual reading coaches" - short video segments in which speech pathologists and experienced teachers coach the student through the points covered in the curriculum. These video segments give your student the opportunity to get direct, "personal" instruction from trained speech pathologist and reading coaches. 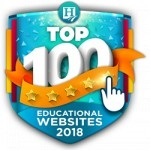 While your subscription is for 1 year, your student will have access to the entire grades K-12 curriculum during that time. Thus, fluent readers can potentially progress though multiple grade levels in the course of their 1 year or 6 month subscription. MindPlay's Virtual Reading Coach endorsements. Visit the MindPlay Virtual Reading Coach website for more information. Read what MVRC provides both students and teachers. Check the System Requirements for MindPlay. Fulfillment: The Co-op will forward your email to MindPlay for fulfillment within minutes of receiving your order. Please allow two (2) business days for MindPlay to send you a "Welcome" email with your log-in and passcode. Please add "hosting@mindplay.com" to your email contact list to help ensure you get your "Welcome" email. If you don't receive your email within 2 business days, please check your spam or junk folder. Returns/Cancellations: If you have given the product a fair chance (MindPlay recommends 30 minutes a day, 4 days per week, for a total of at least 8 hours) and have not seen improvement in your student, you may request a full refund (except for our service fee) within 30 days of the date of purchase. Submit your return request at our Contact Us page. You will receive return instructions via email and/or phone. Service Fee: The Co-op will charge a one-time, nonrefundable service fee of $7.95 to help cover some of our cost of providing this service. 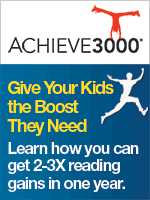 Includes one (1) Student subscription with unlimited use for one (1) year to MindPlay Virtual Reading Coach. 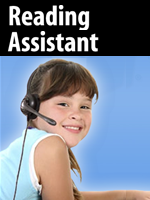 MindPlay Virtual Reading Coach is beneficial to students within a wide range of proficiency levels. MVRC is highly appropriate for Struggling Readers, English Language Learners, Teen and Adult Learners and Accelerated Learners. Real-time data on student progress directly within student's account. This Additional Student subscription includes one (1) Student subscription with unlimited use for one (1) year to MindPlay Virtual Reading Coach. Please see product description above for more info on MindPlay Virtual Reading Coach. 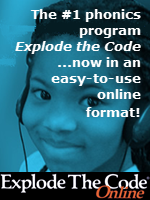 Includes one (1) Student subscription with unlimited use for six (6) months to MindPlay Virtual Reading Coach. 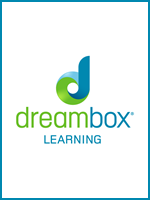 This Additional Student subscription includes one (1) Student subscription with unlimited use for six (6) months to MindPlay Virtual Reading Coach. MindPlay Virtual Reading Coach Renewal for ONE (1) YEAR: 365 days will be added to your existing subscription. IMPORTANT: In the spaces below, please enter the parent email address associated with your current MindPlay subscription, student first name, and student last name for the student for whom you are purchasing a renewal subscription. MindPlay Virtual Reading Coach Renewal for ONE (1) YEAR: 365 days will be added to your existing subscription(s). IMPORTANT: In the spaces below, please enter the parent email address associated with your current MindPlay subscription, the first and last name for each additional student for whom you are purchasing a renewal subscription -- 1 name for a Qty above of 1; 2 names for a Qty above of 2, and so on! MindPlay Virtual Reading Coach Renewal for SIX (6) MONTHS: 180 days will be added to your existing subscription. MindPlay Virtual Reading Coach Renewal for SIX (6) MONTHS: 180 days will be added to your existing subscription(s).